Maryport Kitchens is a successful business with a large range of kitchens for you to view in our store to browse with a helpful team to plan your dream kitchen from start to finish. We have been established since 2001 and have build a extensive portfolio of genuinely satisfied customers. 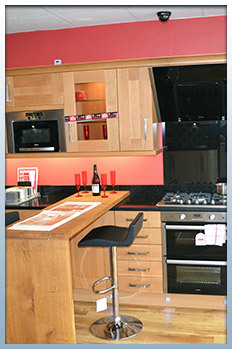 We supply and install a full range of kitchens. All work is made to measure designed to fit your lifestyle. New In – First Team Furniture! We also stock First Team Furniture for Football crazy kids. To see the range please go to our First Team Furniture page. Customers come back to us time after time because of our dedication to customer service, and quality workmanship. We work directly with our clients and all our bedrooms and kitchens are installed by time served tradesmen. With over 15 years of experience we can justifiably call ourselves experts in our field. 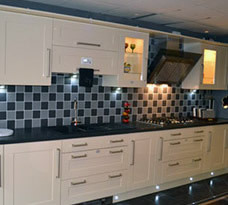 We stock over 30 bedroom and kitchen displays, all in a variety of classy styles. Our personal and reliable service is fully insured, and we have a deposit guaranteed scheme. All our fitted bedrooms and kitchens are made to measure. Our policy is to work with you from design to completion ensuring that our customers always get the best possible result. We hope that our website will answer any query you may have but if not please don’t hesitate to contact us as we will be more than pleased to help in any way we can. We are pleased to announce that we have added the popular Schuller German kitchens and Nolte bedroom furniture to our product range.